Silence in the face of unmistakable human rights violations is not golden. Such silence is unadulterated yellow. One current example is the unbelievable violence against young black men in this country by law enforcement officers. White suspects are not shot 10 or 20 times. These are human rights violations that I am used to seeing in dictatorships and third world nations without a functioning rule of law. This violence has to stop. It’s time to police the police. 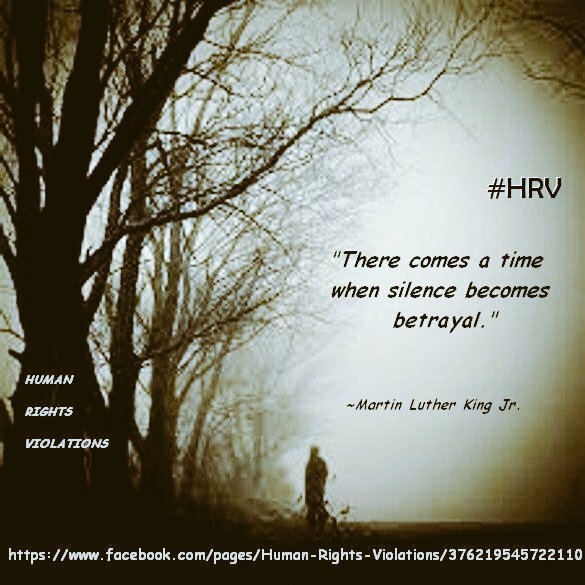 This entry was posted in Hunger & Poverty, News & Views, Quotes and tagged #HRV, African Americans, betrayal, complicity, dictatorships, golden, human rights violations, law enforcement officers, Martin Luther King Jr, police, rule of law, shooting, silence, third world, violence, white suspects on April 5, 2018 by Ray Buchanan. 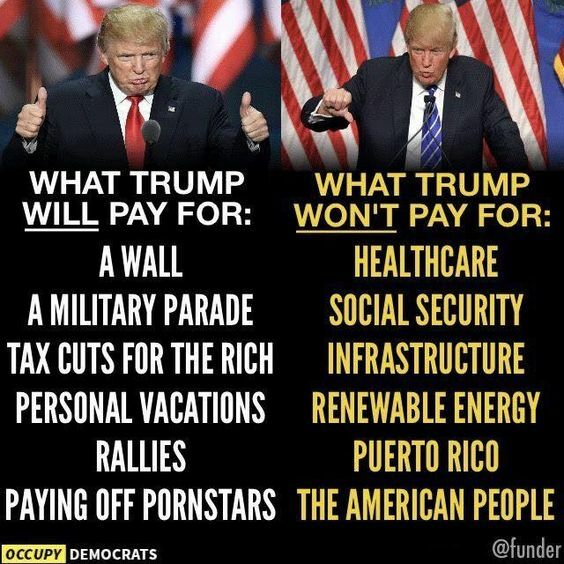 Does anyone else besides me see a pattern here? It’s the exact same pattern I have observed in dozens of third world dictatorships. What we now have in the Offal Office is a rampaging ego with tiny hands, fake hair, and a large mouth. This entry was posted in Facts & Statistics, News & Views and tagged BLOTUS, dictatorships, ego, hair, hands, healthcare, infrastructure, military parade, mouth, Offal Office, payoffs, personal vacations, pornstars, Puerto Rico, rallies, renewable energy, social security, tax cuts, third world, Trump, wall, wealthy on February 19, 2018 by Ray Buchanan.